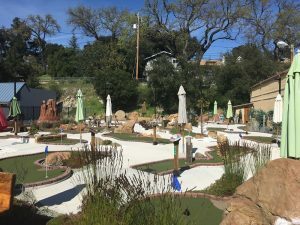 Well, since being in the north county for the since the mid 90’s one of the things Grayson and his father had wanted to do was to build a miniature golf course here in the north county part San Luis Obispo. 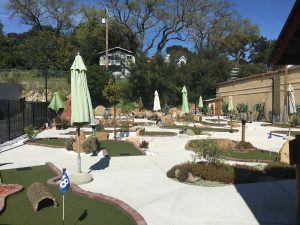 The town could use more family-friendly activities and a miniature golf course had always been a fun activity for them so they knew it would be fun for other families too. 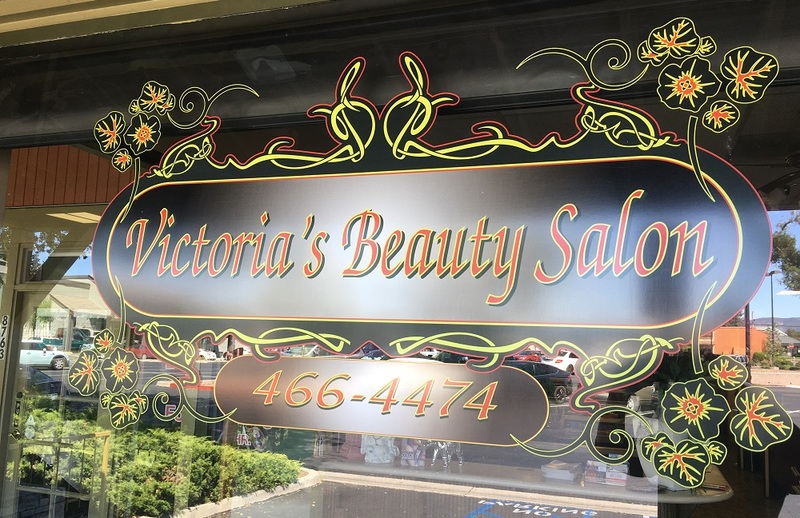 So, about a year and a half ago, they decided to put together a little place in Atascadero. They found a spot right off El Camino about a couple of blocks north of the Carlton Hotel. Believe it or not, but Gracen and his father actually brought that entire 18-hole course all the way from Anchorage Alaska! The entire 18-hole course was actually set up at an air force base out there in Alaska called Elmendorf Air Force Base. Gracen and his father were already in the market for a building up a course and saw that course up for sale so they decided to go out there and get it. 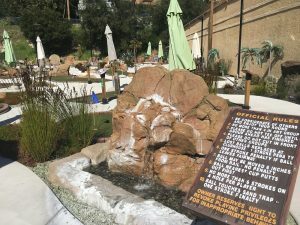 It was pretty fascinating to learn that some of these miniature golf courses are actually manufactured into sections and can be transferred and delivered and put together like giant puzzle pieces! Well, that is exactly was Grayson and his father had to do to make their little dream come true. Seeing that the entire course was all the way out in Alaska, they could not find anyone that could ship the course out to them here in California. They decided to take matters into their own hands and go out and pick up the course themselves. The got on a flight out to Alaska and made arrangements to get the course delivered. They got the 18-hole course loaded on a barge (a boat designed to carry freight) and had it shipped to Tacoma Washington. From there, they had the entire course loaded onto two 50 foot trailer and had it shipped all the way to Atascadero. It’s actually pretty remarkable that Mr. Putter entire 18 hole course was once sitting in Anchorage Alaska! Well, the adventure wasn’t quite finished yet, They still had to figure out how to put their entire course together. They had lost the plans for the course on how to put it together, and despite the manufacturer not have the original plans either, they managed to put the thing together. And that is how Mr. Putters in Atascadero came to be. 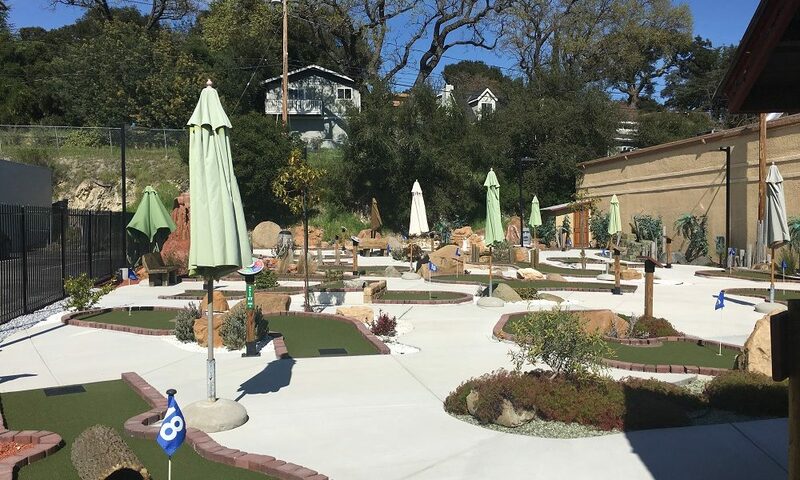 If you’re looking for a great little place here locally to take the kids for some fun than Mr. Putters is a great place for that. 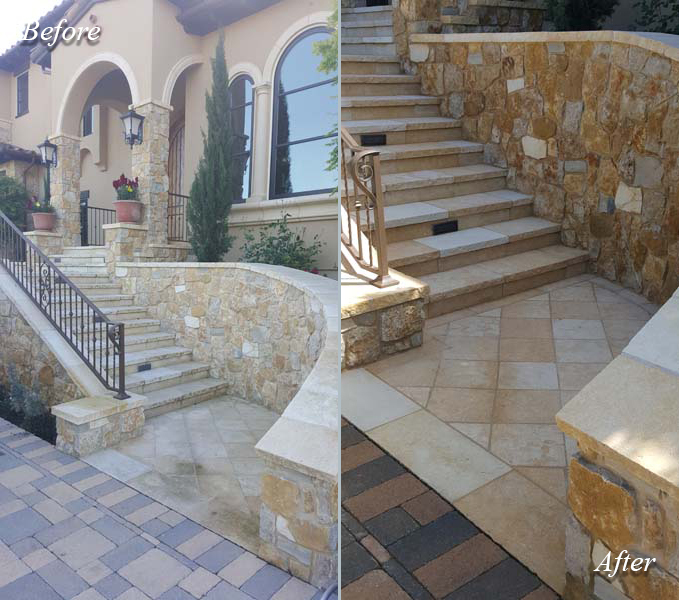 Their course is extremely clean and very well taken care of. The course is fun for everyone of all ages. 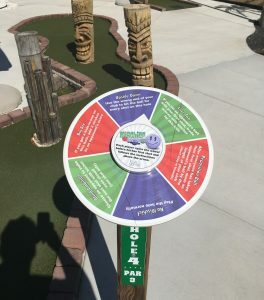 Adults also enjoy the challenge of the course and they have added “spinner wheels” to some of the holes for some added difficulty such as having to put with your eyes closed or having to use the other end of your putter to putt. 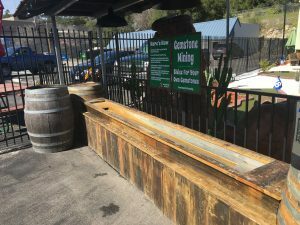 They have also added other activities to the fun such and their sluice box. The best way to describe it is kind of like gold-miners shifting through dirt in pans to find gold in a river. 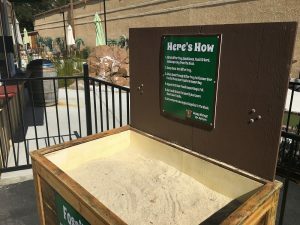 The kids can get a bag of the dirt and toss into sluice box (a box with a screen) and place it into their little water stream to wash away the dirt and discover gems. The kids can then check and see what gems they discovered with a card that helps them identify them. Grayson tells me that the kids really have a blast with it! They also have a small fossil dig where kids can dig for fossils. They even get a little pouch to keep all of their findings. Their prices are very affordable at $8 for a round of golf. 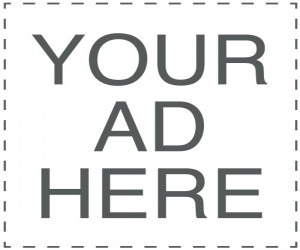 They also offer packages for those that want to do the fossil dig and sluice box. They even offer a special discount on Tuesdays for $6.50 per round of golf. It’s a great way for a family to have some fun on Tuesdays here in the north county. Planning out a Tuesday afternoon of fun with the family can be done affordably. Swing by Mr. Putters for discount rounds of golf, grab some cheap taco Tuesday tacos, then watch a cheap movie at Galaxy Theater with their Tuesday discount too. Oh, and for those that are having a birthday, Mr. Putters has special 2-hour birthday packages for parties. 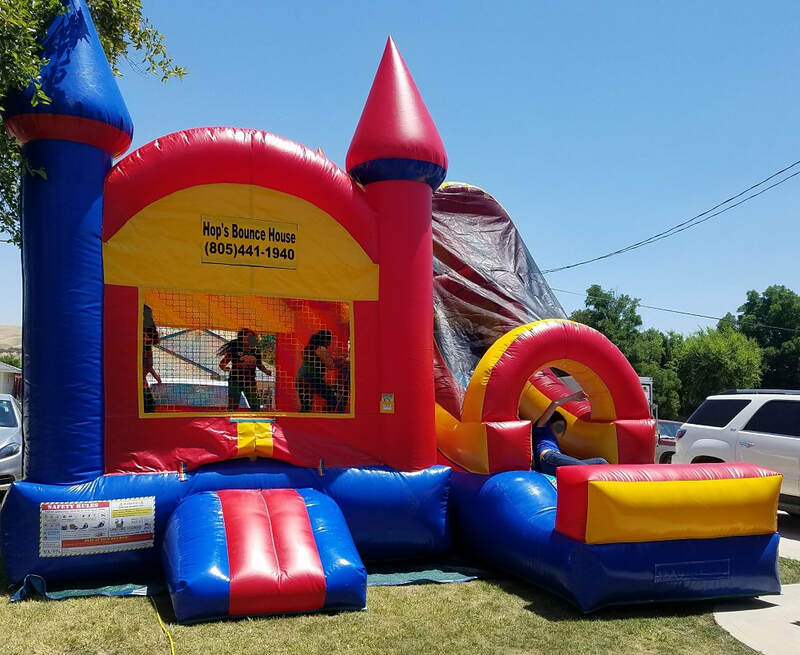 You can have the kids enjoy all of the activities with the party packages. For all of their pricing, you can visit them here. Writing this feature up for Mr. Putter has made me feel like I had been missing out on a cool little place to take the family for fun. 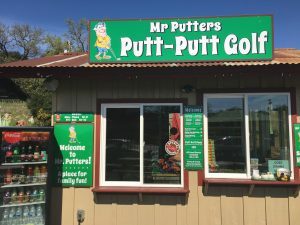 Living in Paso Robles but going to Atascadero all of the time, I drove by Mr. Putters all of the time and didn’t even know it was there! It wasn’t until I heard a radio ad about it that I learned about it being there in Atascadero. I was excited to go and look forward to taking my little guy down there for some fun. 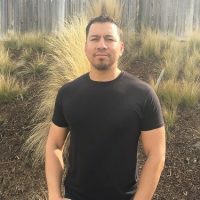 In writing this, I’m hoping to let the word out on this hidden place to have some family fun. I mean, c’mon. How can anyone not have fun on a miniature golf course? Especially one here in our own backyard.